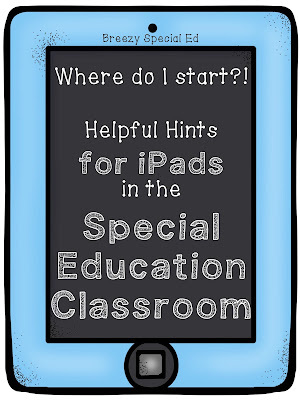 This will be my third year with 1:1 iPads in my special education classroom. I'm not going to lie, there's a lot to figure out and there's so many options of apps out there it is both wonderful and extremely overwhelming! 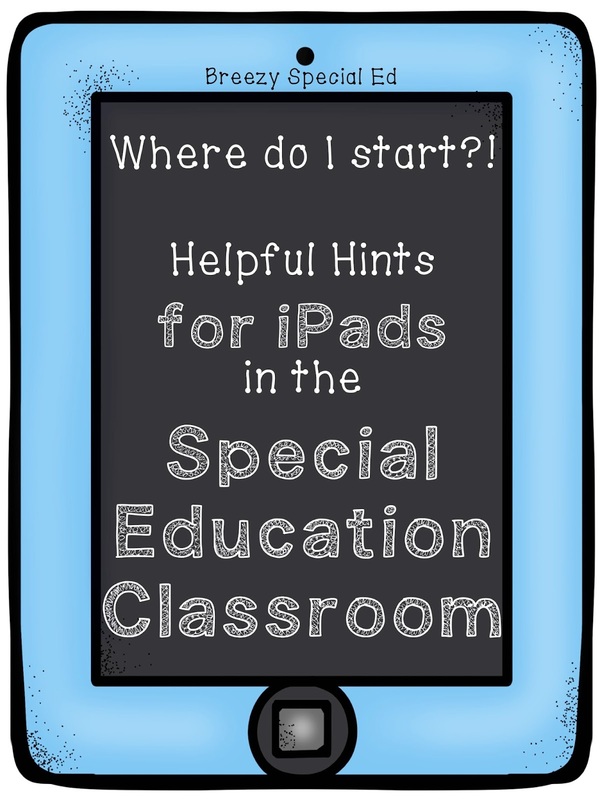 Here's how I would recommend getting started with iPads in your classroom (many of these tips should apply to both 1:1 or classroom iPads). Cases: Get sturdy cases! Let's be honest, an iPad will probably be dropped...or thrown, you want it protected! Sturdy does not have to equal expensive. Five Below has "Tuff Cases" that are very protective and only $5! If you don't live by a Five Below, these are similar, very protective, and still not crazy expensive. For my students who use the iPad as a communication device, we get them this RJ Cooper case with a strap. 2) Use safe hands with the iPad. No hitting or throwing! 3) Use apps only when allowed. 4) Use headphones when you use an app with sound. 5) Be responsible. Know where your iPad is! Have consequences for if rules are broken. In my classroom, if students break these rules (most specifically hitting or throwing), their iPad is taken away for the day or a longer amount of time depending on the situation. Don't download everything at once! You will overwhelm both yourself and your students I promise. Download a few things, check them out, delete the ones you don't like, and then see what you want to put on your student's apps. Some apps (especially free ones) look great, but once you try them out they don't always work how you expected, so try them out before you give them to your students and download them on all their iPads! Also, see what you can use on the iPad already. 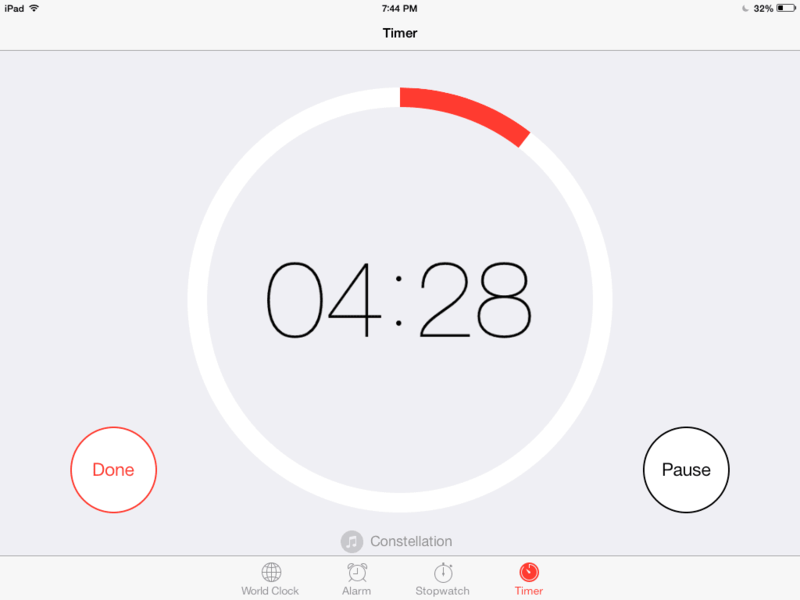 For example, we love the timer that is found right in the clock app already installed on the iPad. You can customize with different sounds and it has both a countdown and a visual red circle to show how much time is remaining. Isn't that awesome?! 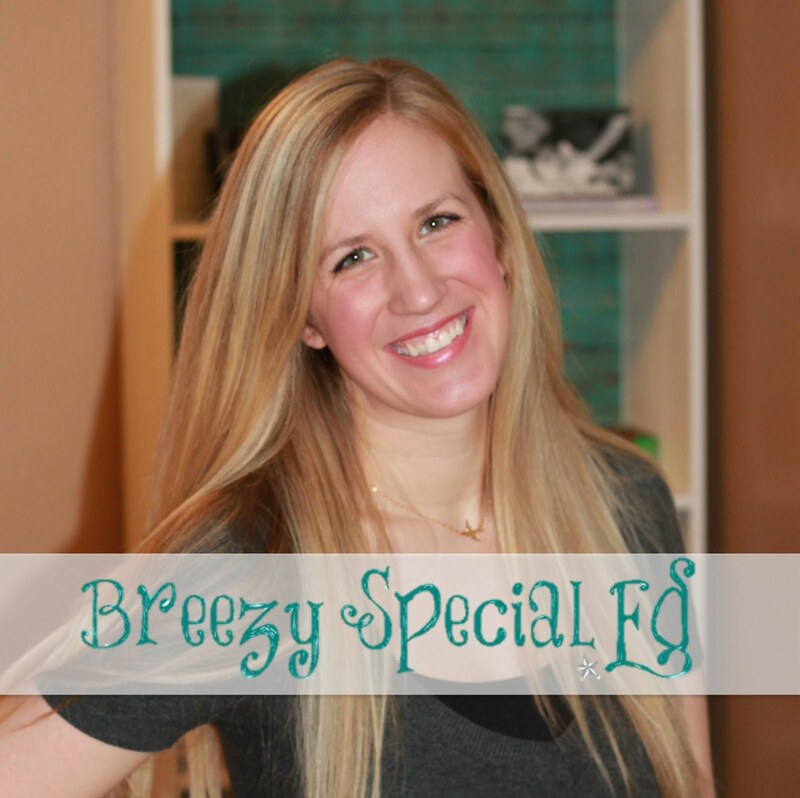 Be sure to follow on Bloglovin' or Facebook so that you are notified when I post new things!! Check out this facebook conversation here with TONS of comments from other sped teachers on their favorite apps! 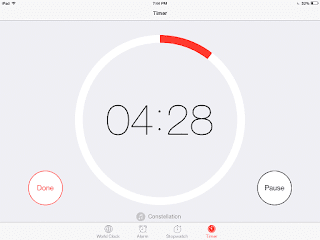 Read about 4 of my favorite FREE apps that I've previously blogged about. Explore my iPad Pinterest board!